As comfortable as a well worn pair of jeans, Cotton ClipLock® Quick Release Guitar Straps are made of a high thread-count cotton weave. The natural qualities of cotton give the strap a traditional look and relaxed feel. DiMarzio® ClipLock® Quick Release Guitar Straps were the first to feature the heavy-duty plastic clip that allows you to easily change from guitar to guitar with a little fingertip pressure. It is the most secure and unique fastening method available to safeguard your guitar. ClipLock® Quick Release Guitar Straps have been used for years by Steve Vai, Joe Satriani, John Petrucci and many other professional musicians. They are the industry standard for strength, security and quality. 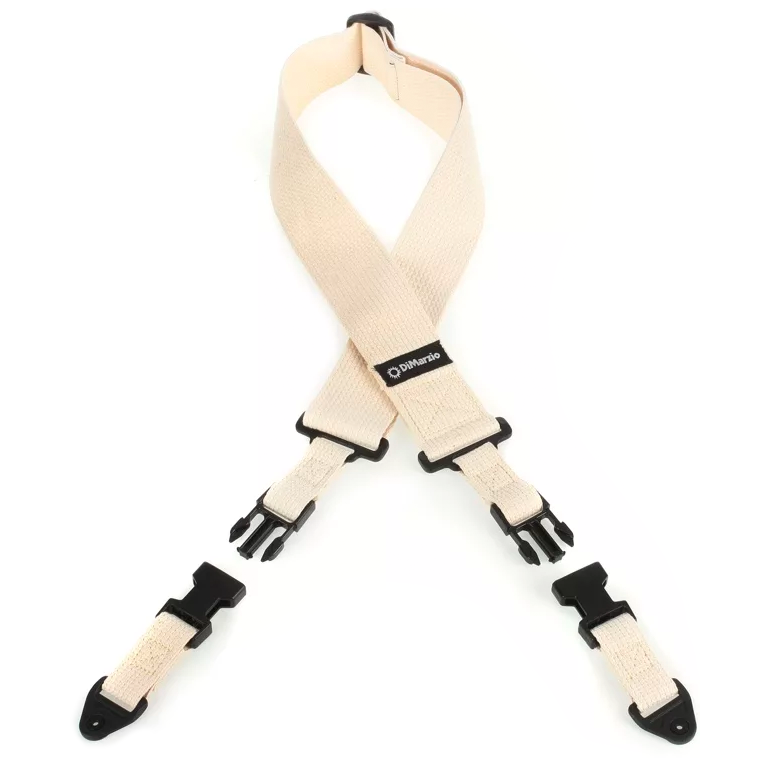 ClipLock® Quick Release Guitar Straps attach securely to your guitar with two sturdy bushings and extra-long screws sized to fit the strap bushing screw holes on most electric guitars and basses.